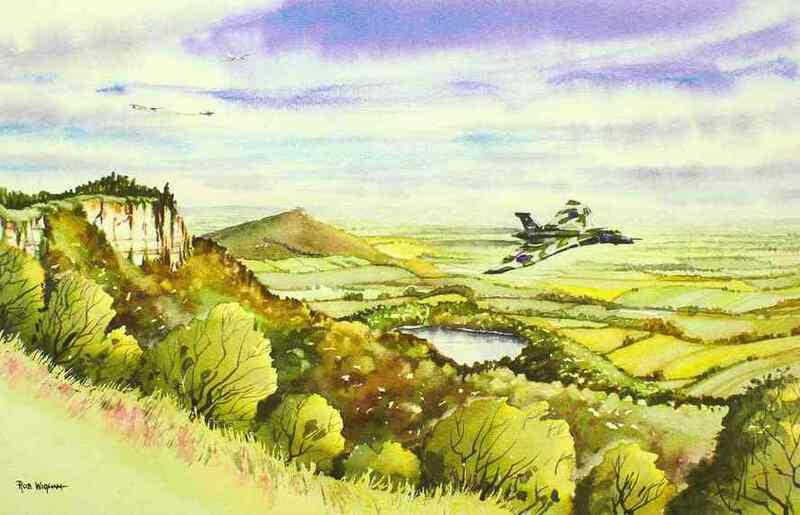 A Vulcan flies past the Sutton Bank in Yorkshire, whilst the Sutton Bank Gliding Club continues its flying activities. A Limited Edition of 100 giclee prints is available, 37 x 24 cm image size. £32 unmounted, £39 mounted in warm white conservation-grade mountboard, plus postage.